Hiromi Tango currently lives and works in northern New South Wales. After moving from Japan to Australia in 1998, she began working full-time as an artist in 2006. Responding gently to her environment, Tango’s intricate public installations are made from familiar, everyday materials, bringing to the surface memory and emotion in those that encounter them. Her willingness to engage in personal and material exchange manifests works made by the generosity of many hands. 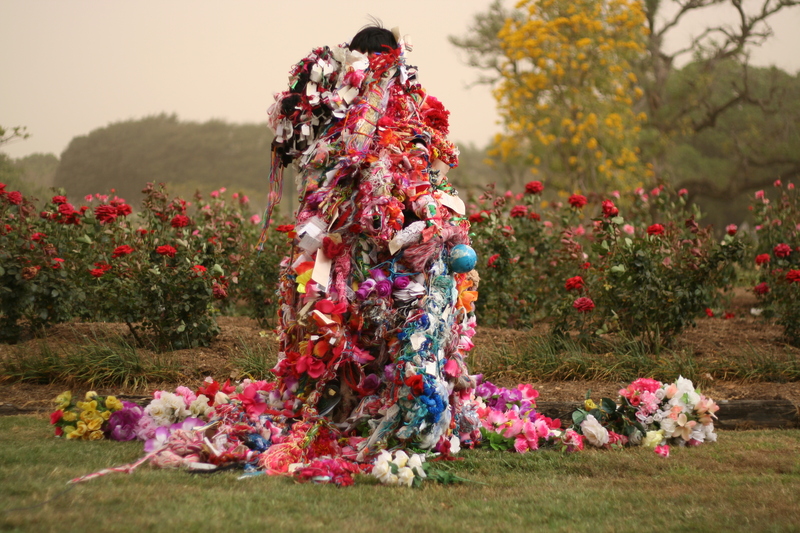 Tango’s artworks to date have primarily been sculptural collections of people’s memories, feelings and interactions using donated objects and stories, that she also plays out through ritualistic performances. Her practice is often collaborative and site-specific. 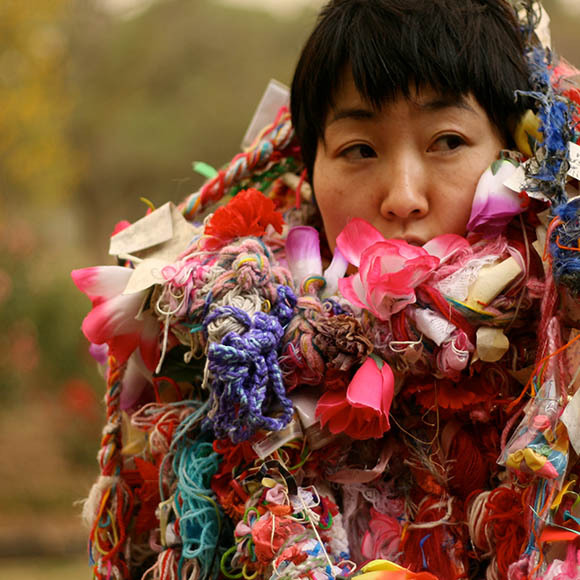 She weaves together vibrantly coloured materials and emotions to create participatory art projects.In recent years her practice has extended to creating collaborative works with her husband, Craig Walsh, beginning with Digital Odyssey, a Museum of Contemporary Art Regional Touring Project from 2010. Home – Gwangju, Gwangju Beinnale, South Korea, 2012, and currently exhibiting Traces – Blue, Setouchi Triennale 2013. 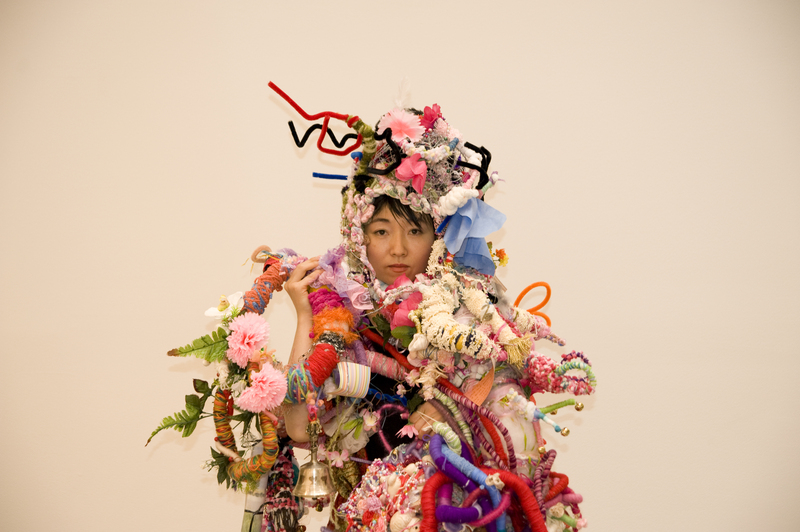 She has also undertaken major community engagement works as an individual artist, including Pistil, a sculptural site-specific installation that was created for Contemporary Australia: Women, (Queensland Art Gallery / Gallery Of Modern Art) in April 2012 and more recently being commissioned as the 2013 Jackson Bella Room Artist at the Museum of Contemporary Art, Sydney, where she has created Dance, an immersive environment with soft forms growing up walls and across the floor and ceiling. 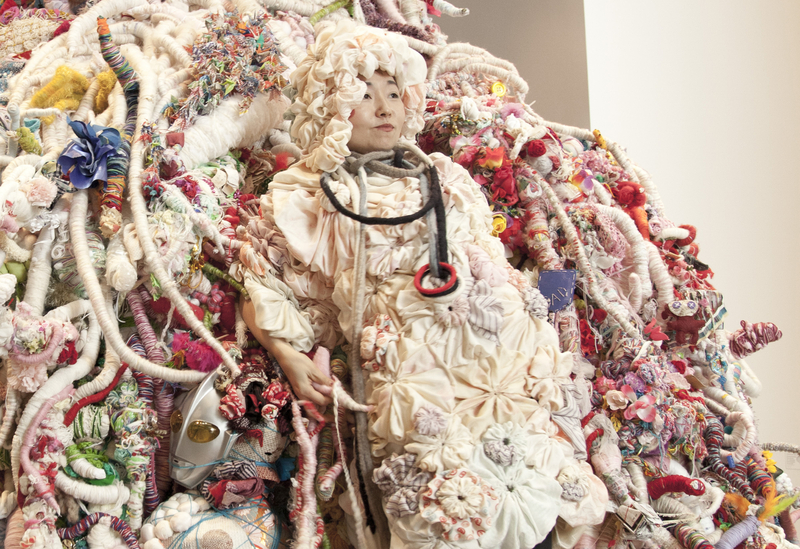 This project marked the beginning of her formal collaboration with health professionals, which she further developed through Hiromi Hotel : Moon Jellies (Hazelhurst Regional Gallery & Arts Centre). Her current projects combine her long-standing research interests in the potential for visual and performative arts engagement to contribute to social, emotional and neurological development, with her distinctive community engagement practice. next post: Chado Urasenke Tankokai Sydney Association Inc.